Collectively, Castle Pines residents Andrew and Lori Peeples have proudly served for 32 years in the United States military. Andrew was a pilot in the United States Air Force, and Lori was a communications officer for the United States Army. We are honored to have such dedicated veterans as our neighbors. The military lineage runs deep in the Peeples family. Growing up a Navy brat, Andrew Peeples knew at a young age that he wanted to be like his dad who served 23 years in the military. At the age of 17, Andrew joined the Air Force ROTC program at the University of Colorado. Lori Lovsted, while a sophomore at the College of St. Benedict in Minnesota, discovered the benefits of an Army ROTC scholarship when seeking financial support for her last two years of college. She was the first person in her family to join the military. Lori was commissioned in the United States Army in 1989. She served on active duty until 1998 and held the rank of captain. As a communications officer, Lori was based in Georgia, Korea and Germany. “Leading teams of soldiers in foreign countries and war zones was quite rewarding,” remarked Lori. “It was an honor to serve with such amazing men and women.” Lori retired when her oldest son was born. The Peeples family gathered together at Lieutenant Colonel Andrew Peeples’ Air Force retirement ceremony in Parker in 2014. Left to right: Nate Walker, Matthew Walker, Lori, Andrew, Andy, Susanne and Catherine Peeples. Andrew was commissioned in the United States Air Force in 1990. “My first challenge was completing the rigorous Air Force undergraduate pilot training program with two young children under the age of three,” said Andrew. “Twelve-hour days for an entire year, weekly check-rides, and tests were grueling, but helped shape me into a better Air Force pilot who can handle stressful environments.” As a pilot, Andrew spent time at six different Air Force bases. He flew to 25 different countries and participated in several military operations in Europe, Bosnia and the Middle East. He retired as a lieutenant colonel in 2014 with more than 23 years of service. Two decades after entering the military, both Lori and Andrew found themselves single and managing parenthood on their own. Their paths intersected through their mutual belief in family and God, as well as the assistance of a faith-based online website. Their first date was attending church together. After three years of courtship, Lori and Andrew tied the knot in April 2016 at Buckley Air Force Base. Their blended family includes Lori’s sons Nate and Matthew, and Andrew’s adult children Susanne, Andy and Catherine. Andy, a member of the Air Force Reserves, is seeking an active duty enlistment in 2017. No longer consumed by the demands of the military, the Peeples have poured their energy into other pursuits. Andrew is a pilot for United Airlines, and Lori is the local owner and director of the soon-to-open Omega Learning Center in Castle Pines (see page 13). The new project will include 228 apartment units, 30,000 square feet of office space, 10,000 square feet of retail and restaurant space, and 328 street level/below street level parking spaces. The Town of Castle Rock recently gave unanimous approval to a $60 million dollar mixed-use development project for the downtown Castle Rock area. Riverwalk at Castle Rock (RCR), owned and developed by Golden-based Confluence Companies (CC), will be a two-block residential redevelopment project located near Festival Park on both sides of Sellars Gulch along Wilcox Street. RCR will include 228 apartment units, 30,000 square feet of office space, 10,000 square feet of retail and restaurant space, and 328 street level/below street level parking spaces. Groundbreaking for RCR is expected in January 2017, with the first phase scheduled for completion in the fall of 2018, and total project completion by late 2018. For more information, visit www.confluenceco.com. Riverwalk at Castle Rock is a $60 million mixed-use redevelopment project to be located in downtown Castle Rock near Festival Park on both sides of Sellars Gulch on Wilcox Street. A new eight-mile segment of the East/West Regional Trail just north of Hess Road will connect the current trial (west of I-25, south of RidgeGate Pkwy) to the Cherry Creek Trail in Parker (west of Parker Road south of E. Mainstreet). Hikers, equestrians and mountain bikers rejoice! Great Outdoors Colorado (GOCO) just awarded a $2 million grant to Douglas County and the Town of Parker to construct a section of the East/West Regional Trail that will connect the City of Lone Tree to the Town of Parker. The project is currently in design, with construction slated for 2017 and 2018. The new eight-mile segment marks the final phase in a 28-mile construction project that began in 2002 with a collaboration that includes Douglas County, the City of Lone Tree and the Town of Parker. “This is yet another remarkable example of what can be achieved when common ground leads us to problem-solve and create solutions through community partnerships on behalf of those we serve,” said David Weaver, chair, board of Douglas County Commissioners. The new trail segment will finish the connection between Redstone Community Park in Highlands Ranch and the Cherry Creek Regional Trail in the Town of Parker through an off-street trail system, serving as a commuter and recreational connection for the entire region. Pedestrians, bikers and equestrians will enjoy rural landscapes, wildlife and scenic views, as well as open space, parks and natural areas along the trail route, which includes natural and hard surfaces. The route will also be a major component in a multi-entity vision of completing a continuous loop trail around the outer edges of the Denver metro area and part of a much larger statewide system that, in the future, could create a connection from the Denver metro area to Durango. The grant is part of GOCO’s first round of funding for its new Connect Initiative awarded to close critical gaps in trail networks across the state. Douglas County reports that as of October 3, there were a total of 234,925 registered voters for the upcoming General Election on November 8. Of those, 47,551 were Democrats, 107,245 were Republicans, and 80,129 were listed as other. Make sure your vote counts and ensure that all mail-in ballots are received (not postmarked) by 7 p.m. on Election Day. The City of Lone Tree, 9220 Kimmer Drive, Suite 100, is open Monday through Friday during normal business hours from October 17 to November 7. This office is also open from 9 a.m. until 1 p.m. on Saturday, November 5, as well as from 7 a.m. until 7 p.m. on Election Day. The Highlands Ranch Motor Vehicle Office, 2223 W. Wildcat Reserve Parkway is open Monday, Tuesday, Thursday and Friday from 8 a.m. until 3 p.m. and Wednesday from 7:30 a.m. until 5 p.m. For both locations, ballots must be placed in the ballot box by the close of polls at 7 p.m. on Election Day. These locations are available 24-hours a day from October 17 to November 7. Locations include Castle Pines Library, 360 Village Square Lane; Douglas County Elections, 125 Stephanie Place; Douglas County Sheriff’s Office Highlands Ranch Substation, 9250 Zotos Drive; Highlands Ranch Motor Vehicle Office, 2223 W. Wildcat Reserve Parkway; Lone Tree Motor Vehicle Office, 9350 Heritage Hills Circle; Parker Police Department, 18600 E. Lincoln Meadows Parkway; Parker Town Hall, 20120 E. Mainstreet; Town of Castle Rock, 100 N. Wilcox Street; and Town of Larkspur, 8720 Spruce Mountain Road. Ballots must be received by the close of polls at 7 p.m. on Election Day. The following locations will be open from 7 a.m. until 7 p.m. on Election Day: Douglas County Elections, 125 Stephanie Place; Douglas County Sheriff’s Office Highlands Ranch Substation, 9250 Zotos Drive; Larkspur Fire Protection District, 9414 S. Spruce Mountain Road, Larkspur; Lone Tree Motor Vehicle Office, 9350 Heritage Hills Circle; Parker Recreation Center, 17301 E. Lincoln Avenue; and Parker Town Hall, 20120 E. Mainstreet. The following high schools are also voting locations: Castle View, Chaparral, Douglas County, Highlands Ranch, Legend, Mountain Vista, Ponderosa, Rock Canyon and Thunder Ridge. This chart shows how the Winter Shelter Network will work to meet the needs of the homeless in Douglas County, from November through March 2017. Thanks to the compassion and vision of local faith-based nonprofit organizations, area churches and Douglas County government, a struggling and often overlooked demographic within Douglas County will be able to have a warm, clean and safe place to spend their winter nights. The Winter Shelter Network (WSN) will be providing services to homeless men, women and children beginning November 1 and running through March 31, 2017. Rand Clark, community of care navigator for the Douglas County Department of Community Development said, “In the fall of 2014, [this group] reached out to Douglas County and asked what was needed by our vulnerable residents and how they could help address these needs. Providing shelter during the winter months was one of the needs presented to the group by the County. This unique partnership includes Douglas County Department of Community Development and the Department of Human Services, Catholic Charities, the Crisis Center, Douglas/Elbert Task Force, Parker Task Force and Southeast Community Outreach (SECOR); the churches include Grace Chapel, Cherry Hills Community Church, Parker United Methodist, Joy Lutheran Church, Castle Oaks Covenant Church, The Rock, Crossroads Community Church, and Southeast Christian Church. Clark explained that churches will host women and children one night per week on a rotating basis from November 1 through March 31. A typical night will include dinner, a place to sleep, breakfast and a sack lunch. Some churches may provide additional services such as homework help, games for the children, etc. Program participants will go through an assessment process to determine eligibility; this will be conducted at the nonprofit agencies (Douglas/Elbert Task Force, Parker Task Force, SECOR and Catholic Charities) or through a dedicated team of volunteers working with the WSN program director. Each of the nonprofit agencies providing the assessments have existing hotel voucher programs; men and families with adult males will need to go to one of those agencies. Based on individual agency policy, availability of funding and hotel vacancy, they may be provided with a hotel voucher. The participants will need to provide their own transportation between the churches each night; churches may provide gas cards to offset the cost of fuel to those needing assistance. Clark added that, according to the Douglas County School District, 499 Douglas County school-aged children experienced homelessness during the 2015-2016 school year. The 2016 annual Point in Time Survey of Homelessness shows that 80 percent of those experiencing homelessness in Douglas County are in households with children. David A. Weaver, chair for the board of Douglas County Commissioners said, “For Douglas County families experiencing homelessness – 80 percent of which include young children – this solution for winter weather shelter is not only an enormous blessing, it is a life saver. We are overjoyed by the multiple local churches, nonprofit agencies, and other service organizations that answered the call so that those in crisis may have shelter, comfort, and other resources in their time of need,” he said. For more information and/or how you can help, contact WSN at www.wintershelternetwork.org or call Rand Clark at 303-660-7460. A young buck peers through the oak brush before making his decision to cross the highway in southwest Colorado. Motorists should be aware that wildlife can cross roads without warning at most any time of day or night, but a majority of animal-vehicle collisions occur from dusk to dawn, when wildlife are more active and unfortunately more difficult to see. Over the past 10 years, the state has seen an average of 3,300 reported wildlife related collisions each year. Also in that 10-year period 2,661 crashes involved driver or passenger injuries. And sadly, 33 of the collisions resulted in fatalities. CDOT has created a new educational video, “Wildlife on the Move,” which touches upon the risks of potential wildlife encounters on the road. The visual tool also outlines several tips for preventing collisions and gives recommendations on what to do if you experience a wildlife collision. If a wildlife collision does occur, the video instructs drivers to “brake, look and steer.” Brake: slow down and concentrate on retaining control of the vehicle. Look: be aware of your surroundings especially other vehicles. Steer: move your vehicle to a safe position off the road. To view the “Wildlife on the Move” video and for more information about wildlife, visit: https://www.codot.gov/programs/environmental/wildlife. All new residents of the City of Castle Pines are cordially invited to a welcome reception in your honor on November 3 at 6 p.m. at The Ridge at Castle Pines North golf club. Attendees will enjoy appetizers, drinks and mingling with neighbors. A short program will introduce new residents to the various entities that make up the city and clarify the roles of each. For questions or to RSVP, contact the Castle Pines Chamber of Commerce at 303-688-3359. We hope to see you there! Next summer, residents of all ages will be able to enjoy new outdoor basketball courts at Coyote Ridge Park. As shown in this rendering provided by the Castle Pines North Metropolitan District, the courts will be located just south of the skate park and will offer added fun for outdoor enthusiasts who call Castle Pines home. Coyote Ridge Park will soon be home to outdoor basketball courts thanks to the Castle Pines North Metropolitan District (CPNMD). 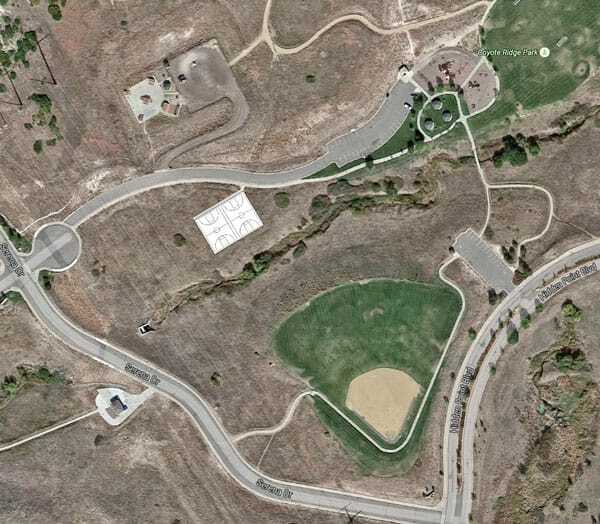 On Monday September 26, the CPNMD, which owns and maintains Coyote Ridge Park, submitted plans to the City of Castle Pines for two proposed basketball courts south of the skate park at Coyote Ridge Park. “These new courts will be a win for our community. Basketball players, big and small, have been asking for a place to play outdoor ball and we’re well-positioned to grant their wish,” shared Jim Nikkel, CPNMD district manager. CPNMD has secured funding from Great Outdoors Colorado to build and maintain the courts. This proposed community amenity will not be paid for with tax revenue. Original plans were to build the courts at The Retreat Park, but the proposed plans drew concerns from the park’s bordering neighbors. CPNMD went back to the drawing board and identified a new location within the four-square-mile service area in Castle Pines. CPNMD has submitted plans to the City to seek approval for a grading permit to address drainage improvement and erosion control for the area, which requires administrative approval. Because CPNMD owns the land and the park, no other approvals are required. Assuming the timely issuance of the grading permit, CPNMD hopes to start construction soon and open the courts next summer. Want to have a say in the colors? Visit the CPNMD on Facebook (www.facebook.com/cpnmd.org) in the coming weeks to take part in a poll to help decide the colors for the courts. Academic support is coming to Castle Pines with the opening of Omega Learning Center. The center is slated to open mid to late November and will be located at 7298 Lagae Road, Suite B, next to Dazbog Coffee. The hours of operation will be Monday through Thursday from 11 a.m. to 7 p.m. and Saturdays from 10 a.m. to noon. Hours may be extended as needed in the future. 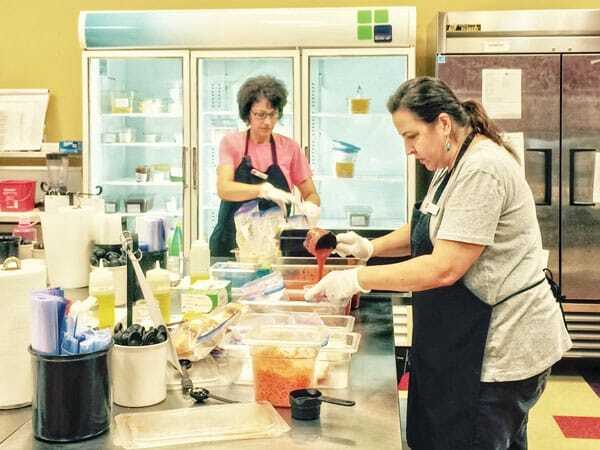 The owner and director of the facility is Castle Pines resident Lori Peeples. Peeples has been in the community for five years and as Peeples expressed, “As a parent, I saw a great need for the availability of tutoring and test prep.” Peeples initially studied education in college and eventually went on to major in business. Additionally, Peeples proudly served on active duty in the Army for nine years (see front page story). 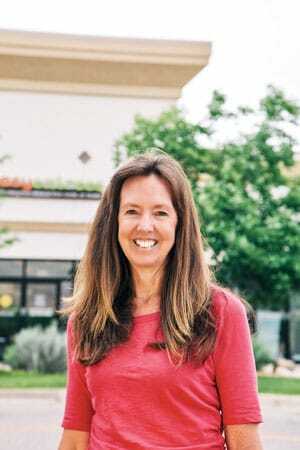 This combination of interests and dedication to service makes Peeples a natural as the director/owner of the Castle Pines Omega Learning Center. Peeples was inspired to become involved with Omega after researching the company’s positive and collaborative approach to supplemental education along with the favorable reviews she read from parents. Omega centers are part of a nationwide company that offers K-12 tutoring and test preparation. Omega Learning Centers has nationwide AdvancED accreditation, which is the highest level of educational accreditation in the country, according to Omega’s website. Additionally, Omega centers provide pre and post assessments to track students’ learning styles and progress. Students work with the same tutor during their time at Omega, providing a consistent and tailored approach designed to bridge educational gaps and give students the best outcomes. Omega tutors communicate daily with parents and teachers and can even participate in school conferences if requested, forming a valuable trio of support for learners. Another highlight is the company’s commitment to Castle Pines. As Peeples remarked, “Omega Learning Center is a proud member of the Castle Pines Chamber of Commerce ... and is a true educational advocate and community partner.” Peeples also looks forward to fostering relationships with the schools in the area by sponsoring school events to support teachers, school programs and, ultimately, the students. For additional information, call 303-218-5200 or visit CastlePines-CO.OmegaLearning.com.